While the last election saw the community siding with the BJP, it remains to be seen who will win over the Dalits this time. Lucknow: Before every election, parties clamour to woo different sections of the society, with the Dalit community topping the list. Every political party tries to establish itself as a champion of Dalit emancipation. Though they are mainly seen as a vote bank of a particular party, in the last five years, the community has expanded its options and isn’t hesitant to shift base. The 2014 Lok Sabha polls and 2017 Uttar Pradesh elections have established this. However, it remains to be seen who will win over the Dalits. The community has come to realise their power and the value of their rights. In UP, they comprise 21% of the total population – meaning, they can turn the fortunes of any party. In UP, there are 17 reserved seats for the Scheduled Caste community and all of them were won by the BJP in the 2014 polls. As many as 20 districts of the state have more than 25% Dalit population – Sonbhadra, Kaushambi, Sitapur, Hardoi, Unnao, Raebareli, Auraiya, Jhansi, Jalaun, Bahraich, Chitrakoot, Mahoba, Mirzapur, Azamgarh, Lakhimpur Khiri, Hathras, Fatehpur, Lalitpur, Kanpur Dehat and Ambedkar Nagar. These districts cover nearly 40% of the 80 parliamentary constituencies. Political parties understand the power of these numbers and are thus not leaving any stone unturned in their quest to win over the community. Uttar Pradesh has seen a Dalit woman becoming the chief minister four times. The present president, Ram Nath Kovind is also a Dalit from UP. The chairperson of the National Commission for Scheduled Tribes, Ram Shanker Katheria is also from UP. In the past, Dalits have remained with the Congress and the party has greatly benefitted from their support. However, the first shift came in 1984 when Kanshi Ram formed the Bahujan Samaj Party (BSP) and weaned Dalits away from the Congress. The shift greatly impacted the prospect of the party and it lost power in the state in 1989. Dalit support has since remained with the BSP but in a depleted form. In the 2014 general elections as well as the 2017 assembly polls, Dalits showed major signs of moving away from the BSP and towards the BJP. Political pundits attribute this to further sub-division among Dalits where the Jatavs remained with Mayawati while other communities of Dalits parted ways. 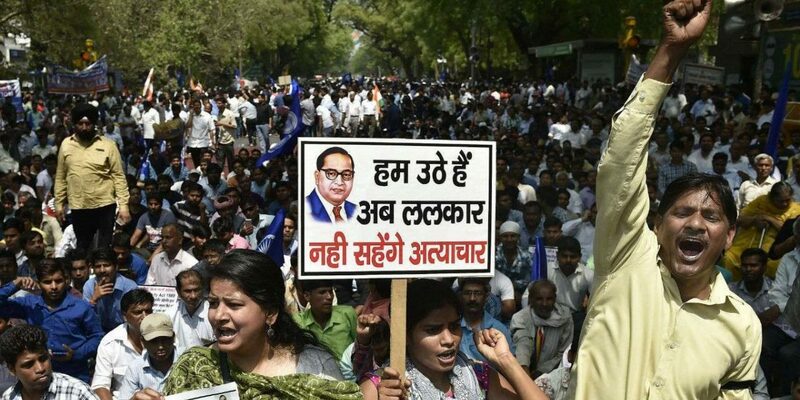 The turn in Dalit politics is clearly visible with the community asserting their rights. The April 2018 Bharat Bandh in the wake of the alleged dilution of Prevention of Atrocities on SC/ST Act was an indication of their awakening. The bandh was not called by any political party but instead began through social media. It was seen as a renaissance of Dalits where Mandals stood up against Kamandal politics. Now, members of the community are more vocal on social media. During the last general elections, there weren’t many voices supporting the community, but that has now changed. Even Mayawati, who has in the past refrained from such activities, has constituted a social media cell and has joined Twitter. BJP, seated comfortably with its majority, faced indifference with several of its Dalit MPs writing letters against the government. While three MPs – Yashwant Singh, Ashok Dohre and Chote Lal Kharwar – wrote letters about the ill-treatment of Dalits by the government, Savitri Bai Phule, the MP from Bahraich, went as far as leaving the party, calling the BJP an “anti-Dalit, anti-OBC and anti-Muslim” organisation that was “trying to create divisions in society”. New faces have since emerged in the Hindi belt. Bhim Army’s leader Chandrashekhar is one such face who hasn’t shied away from reaching out to Delhi for support. 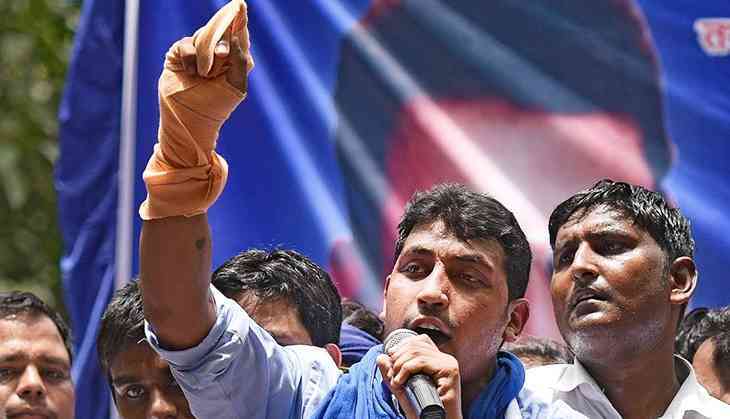 Despite the snubbing from Mayawati, Chandrashekhar has managed the support of Dalits, mainly in western UP. While BSP has claimed to be the sole contender for their votes, Dalits are now weighing their options. Mayawati, on the recent birth anniversary (March 15) of BSP founder Kanshi Ram, said the biggest tribute to him would be to get “good results” in the Lok Sabha elections. Burying the hatchet, BSP and SP have even joined hands. While it was expected that there would be animosity among Dalits and OBCs – mainly Yadavs, who are the traditional vote bank of the SP – no such incident has been reported. This is an indication that Dalits have read the writing on the wall and understand that an alliance is necessary to regain power. Every party knows that the Dalit vote is crucial and are thus leaving no stone unturned in wooing them. While UP chief minister dined at the home of a Dalit and spent a night at another, Prime Minister Modi washed the feet of Dalit sanitation workers. The party has also spent Rs 99 crore on a memorial for Ambedkar. Lalji Nirmal has been appointed as the chairperson of UP SC/ST Finance Corporation while former IPS officer Brijlal has been nominated the chairperson of SC/ST Commission. Adityanath has even been given the Dalit Mitra award. Seeing these efforts, Mayawati too has stepped up her campaign. Every move of the BJP aimed at Dalits is followed by a press note from her detailing the hidden agenda of the saffron party. She also prominently raises all incident of atrocities against Dalits across the country. 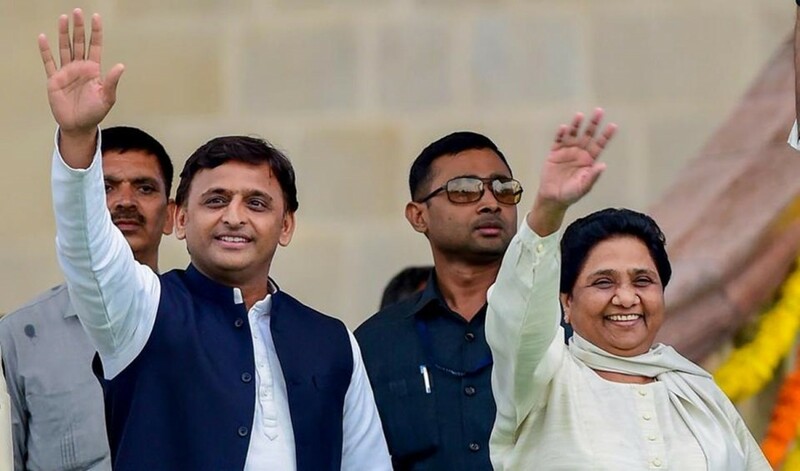 Samajwadi Party has had little connection with Dalits, but this time around, both SP and BSP are raising the point that together with their vote bank, they can win and defeat the BJP and the power will be with the Dalits. There is little left for Congress to do to win the Dalit vote except to include the sidelined leaders of other parties and give them prominence by fielding them in the upcoming election.